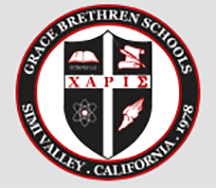 The Ventura Star is reporting that the students of Grace Brethren School will work this year to design and build a small satellite that will eventually be launched into space. The students will get some help from Savage Machining as they endeavor to build a cubesat in partnership with General Dynamics Corporation. Grace Brethren is also building a ground station on the junior/senior high campus that will track the satellite as it orbits. The students building the satellite will either be enrolled in a new spacecraft engineering class or in the after-school club that meets monthly. In the class, students will learn various engineering disciplines, including mechanical, electrical and orbital mechanics. They’ll also be able to track, monitor and record the data that is sent back to Earth. The students — mostly juniors and seniors in high school — will also be able to interact with professional engineers and share data with other educational institutions. Hynes said bringing a robotics program to the school was one of the very first things he sought out to do when he became principal 14 years ago. After robotics started, he wanted to start up engineering courses. Now the private Simi Valley school is in its fifth year of engineering courses and preparing the students for the satellite project. Hynes said one of the best parts about the endeavor is that students have a chance to meet professionals who are among the best in their industries. He hopes Grace Brethren might be able to work with other schools in states like Colorado and Florida so they can collaborate, share data and track the satellite across the United States.